Most of us now live in towns and cities and you might assume that these areas are fully mapped out and known to all. However, some places become unseen or out of bounds and, left to their own devices, become almost geographical blind spots. Join us as some of these off-limits areas are infiltrated – with some startling photographic results. Westpark Mental Asylum is the perfect place to start our tour. 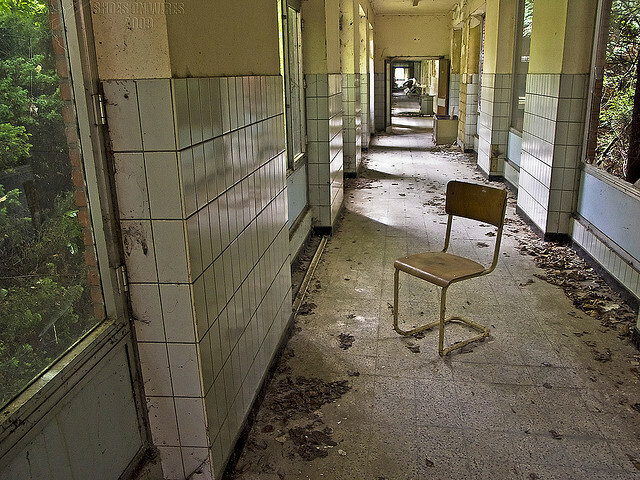 Here for years the unwanted and bewildered were shunted until the hospital was closed down in the nineteen eighties. 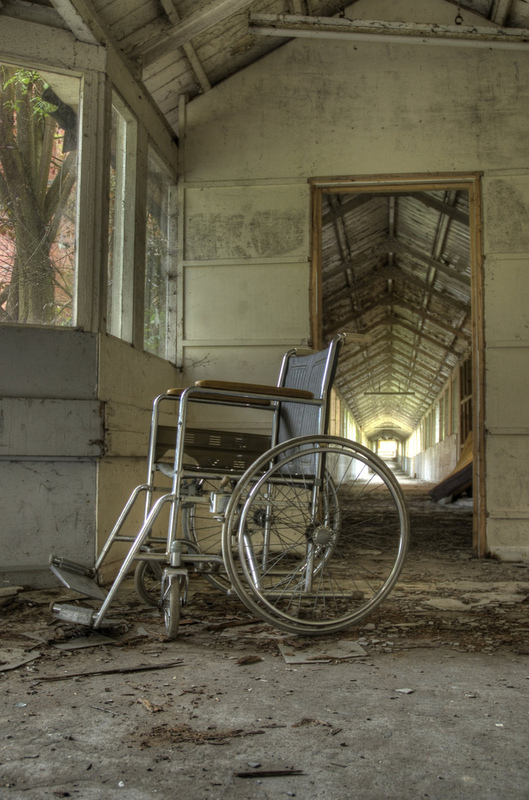 The wheelchair serves as a somewhat spooky reminder of its former residences – given over to ‘care in the community’ and the place was left to moulder. 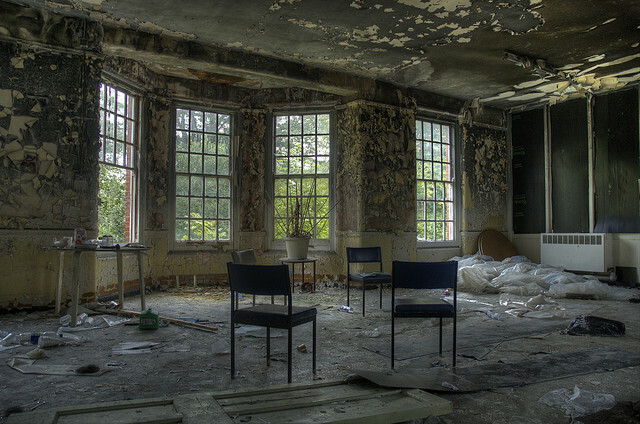 Abandoned hospitals are a favorite 'target' of Urban Explorers. They resonate with the suffering of those long dead. 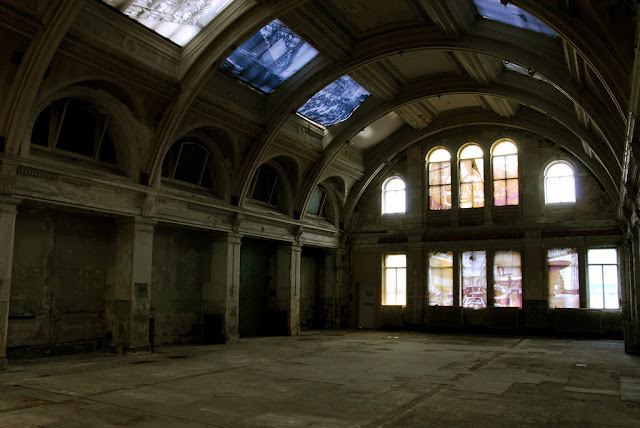 The fact that these abandoned places can be transformed, through the lens, into something so ethereally beautiful as this is a testament to the creativity of the photographer. 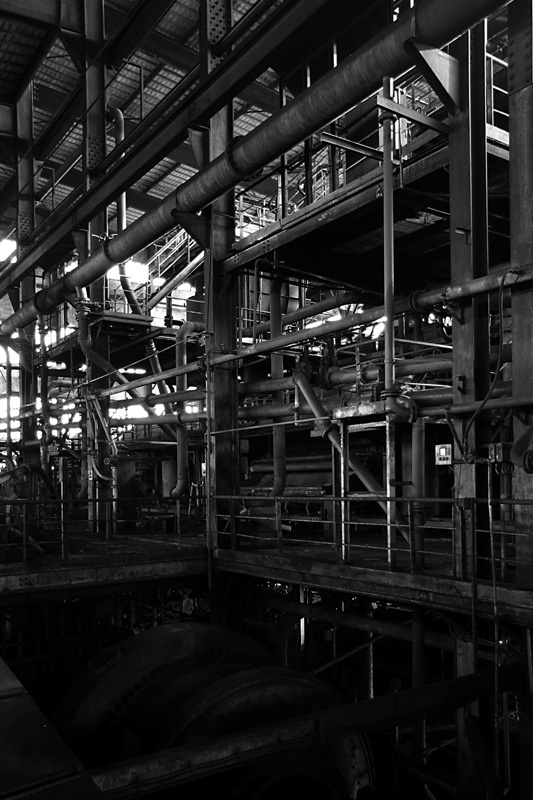 An abandoned paper factory in France is our next stop. 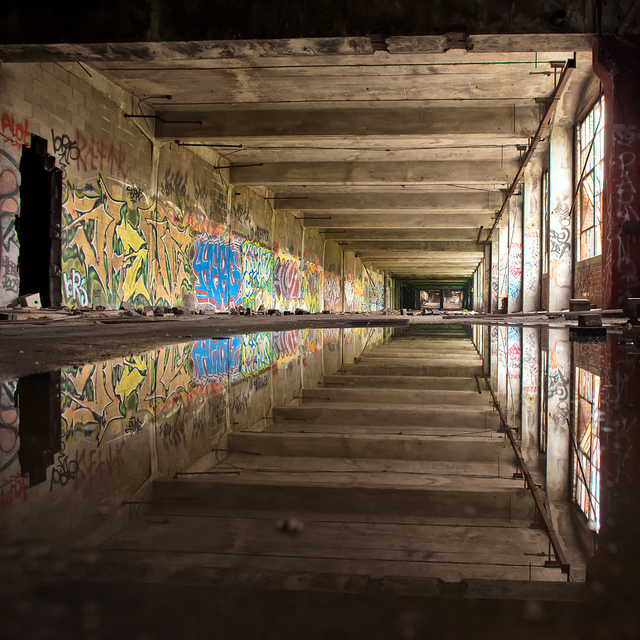 There are certain risks associated with urban exploration as many abandoned locations can be heavily guarded – and not just with cameras but with real live security guards. Part of the thrill of the infiltration is to avoid these and successfully gain entry. Pivotal in the code of urban explorers is that the entry, task (usually photographic) and exit should involve no harm to others or to the place that is being explored. 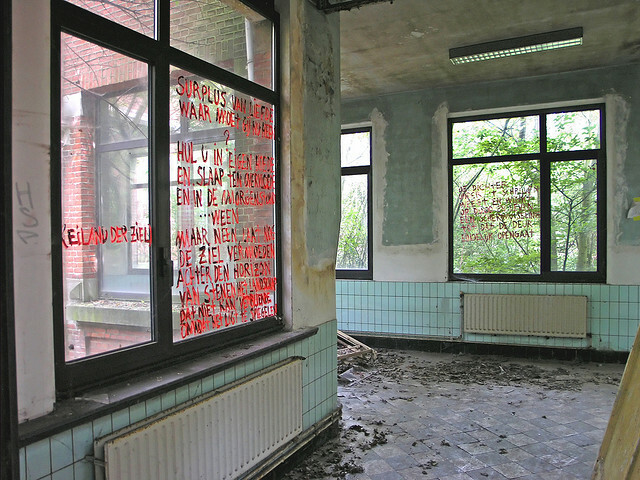 To deliberately vandalise a location is looked upon as something approaching sacrilege. The results are remarkable. You can almost imagine the chief of the factory sitting at his desk ordering people about. 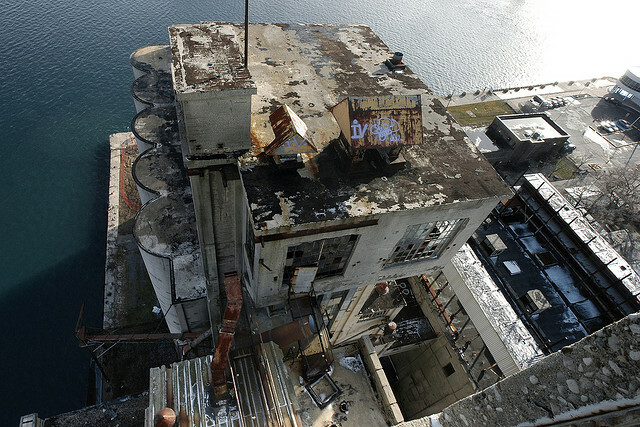 There are always risks in the act of urban exploration. To begin with many of the structures are unsound and the roof could collapse at any moment – not to mention the floor giving way. There may – in the case of abandoned industrial sites – be chemicals and other substances carelessly left to rot out of their containers. 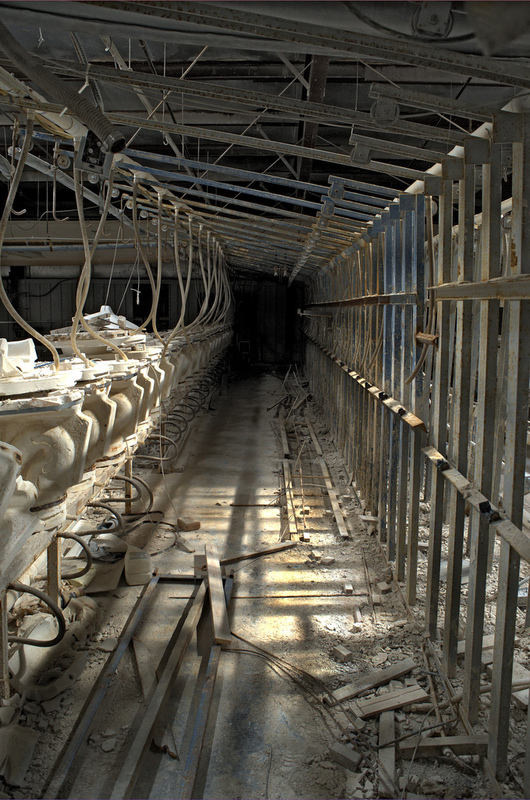 Asbestos is a consistent problem which urban explorers must face and this forces some of them to adapt to the situation and wear respirators when they feel that their health might be affected. 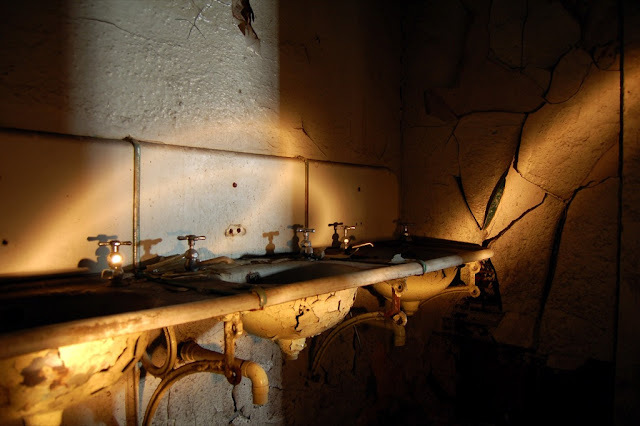 There is even the potential surprise in many abandoned buildings that they could still be inhabited – by not so friendly squatters who jealously guard their home. 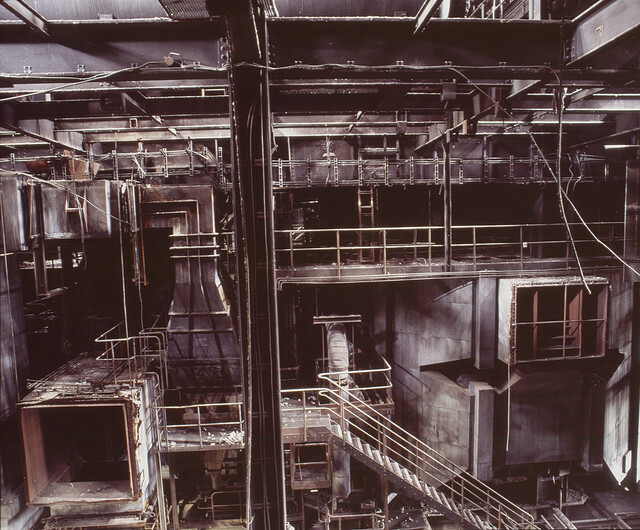 A hall in an abandoned coal mine in Eastern France is the site of this picture. It is almost reminiscent of a great many scenes in the Nightmare on Elm Street films where Freddy chases some new hapless victim around before eviscerating them with his claws. 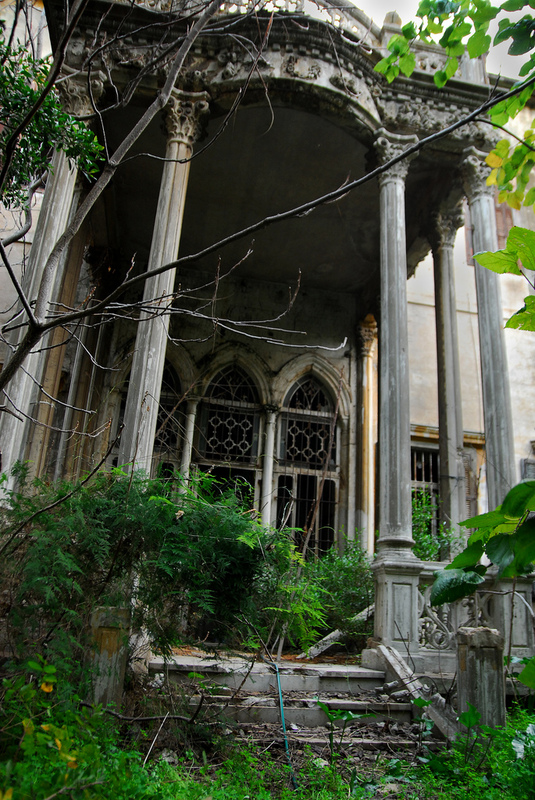 This remarkable place is an abandoned mansion in Lebanon. A little force and the door revealed the history of the house. It has been the home of a Lebanese politician, Tajieddin el-Solh who had been Prime Minister of Lebanon in 1973 and again in 1980. 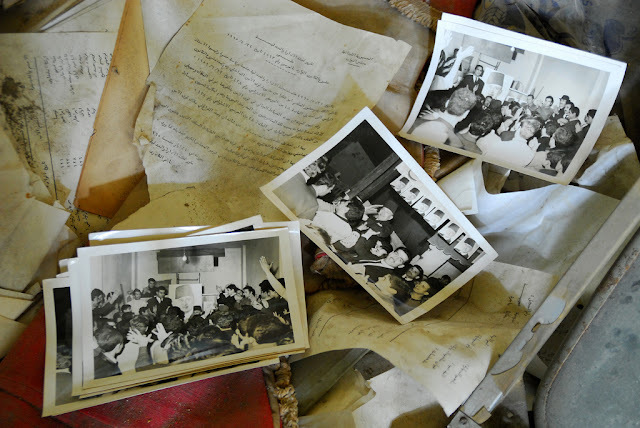 Discovered in the house were files full of vote lists and other political documents – the house had seemingly been abandoned during the civil war. As the city tore itself to shreds the house quietly moldered away. 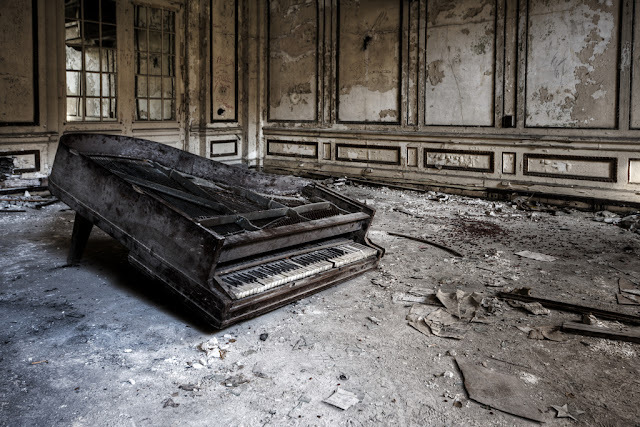 The photographer here, Craig Finlay, was discovered by security but managed to persuade him in to giving him twenty minutes to capture the effect of entropy on the house. The results are wonderful photographs but it has to be remembered that the photographer took his life in to his own hands in order to take tem. Hizbollah are more than active in Lebanon and can view anyone poking around with a camera as something of a threat to say the least. Belfast in Northern Ireland and this abandoned shopping mall looks eerily beautiful when caught on camera. 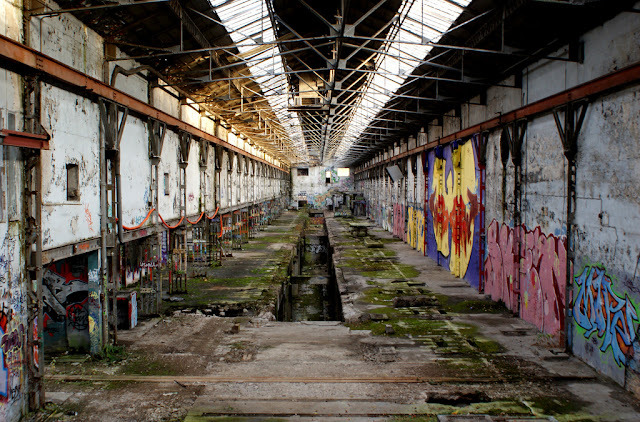 Urban exploration has steadily increased in popularity partly due to the fact that the media have produced a number of television shows on the subject, bringing a once almost hidden activity to a large mainstream audience. 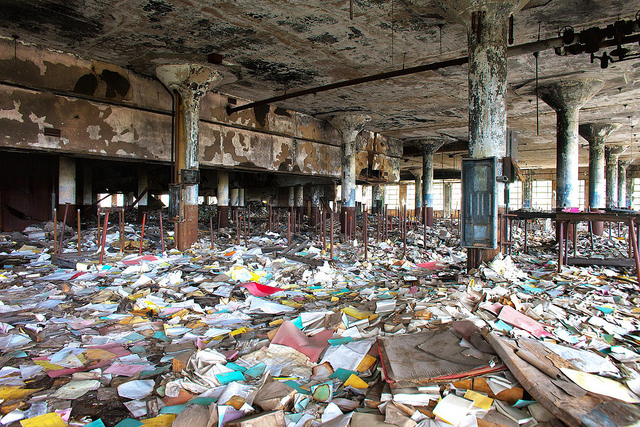 The first rule of urban exploration – to take nothing except photographic images and leave only footprints behind has been somewhat usurped by those with other agendas. 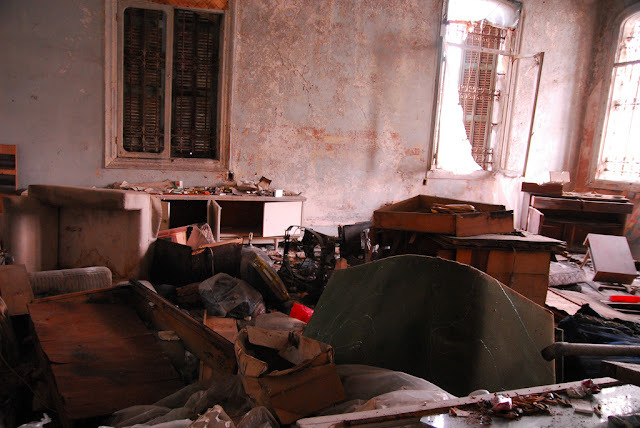 This has created concern among property owners and the authorities of various countries that the properties that are explored are being systematically ransacked by those who do not sign up to the code of Urbex conduct. 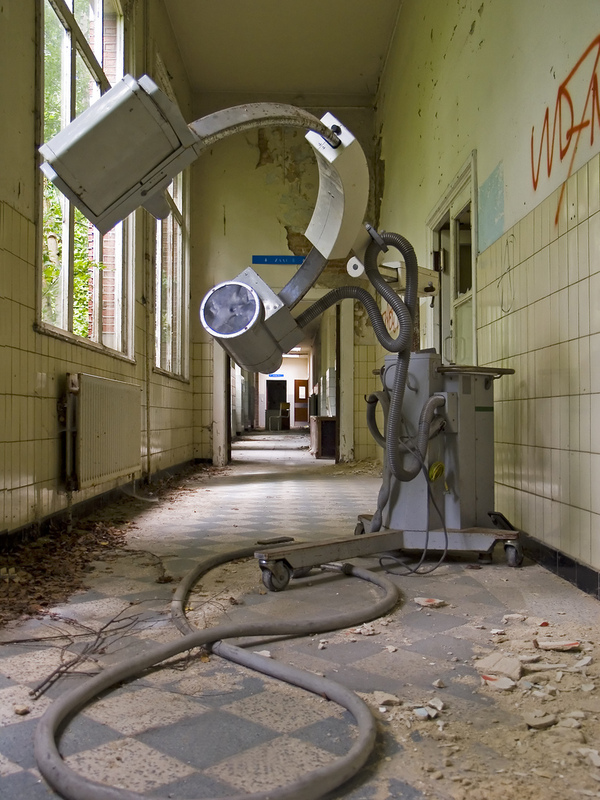 An abandoned military hospital in Antwerp – surprising sometimes what is left behind and this CAT scan machine seems to want to leave as well. The photographer who took this ended up locked inside twice. Part of the hospital is still in use and the photographer managed to walk in through the main gates on a national holiday (when it was quiet). The second time he was locked in he managed to find an escape route through an unlocked window and then return to his task of documenting the place through his photography. Many people would have jumped through the window and run off at that point. 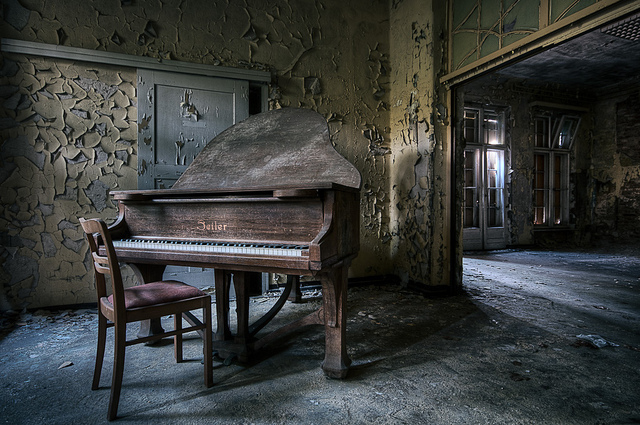 Detroit, Michigan – and although the urban decay of this city is well documented this picture had to be included in this collection because of its composition and also because of the forlorn looking piano at its center. 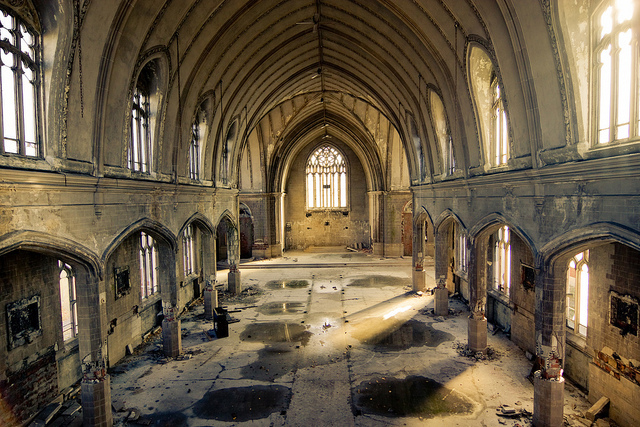 Urban explorers will often find beauty in desolation and this wonderfully caught shot is no exception. One can imagine the grandeur of this place in its heyday. 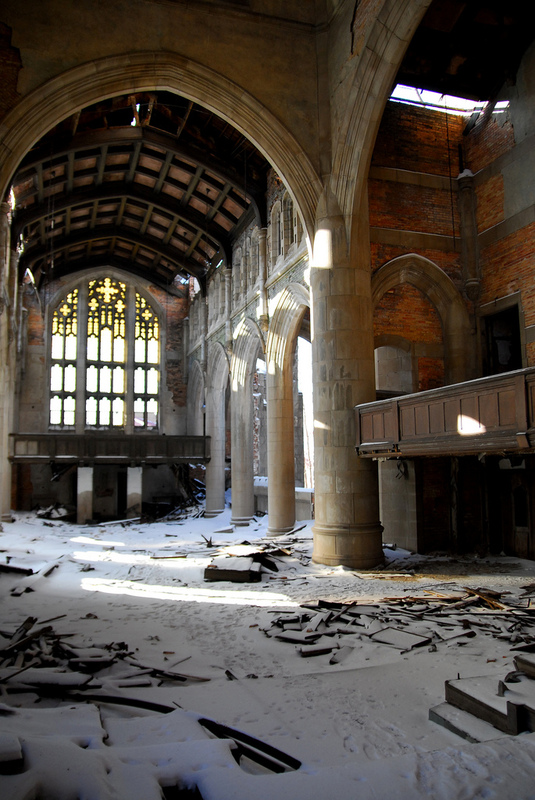 The City Methodist hall in Gary, Indiana is described as the ‘Mount Fuji’ of Urbex photography because it has been visited for that express purpose so many times. However, with the snow fall it looks almost majestic in its decay here. 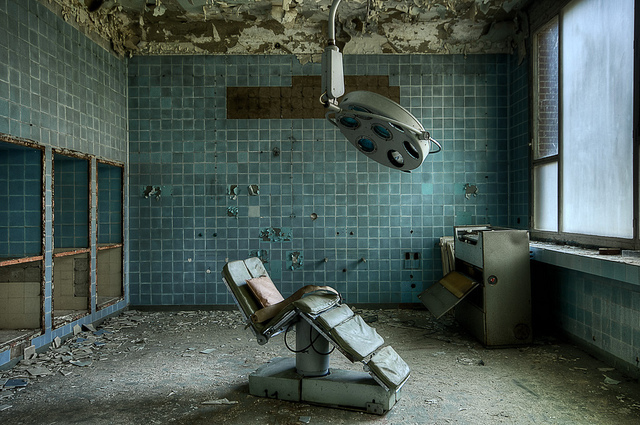 The magnificence of abandoned places can make them ideal for photography – and this place is no exception. In Lucca, Italy, this is the site of an old tobacco factory. 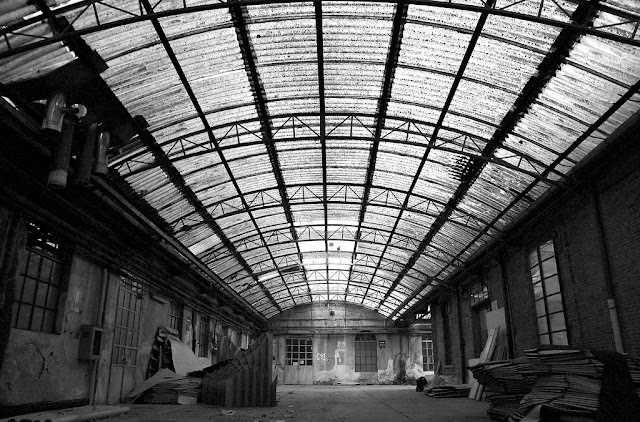 The glass ceiling and the width of the factory floor makes it ideal for black and white photography. 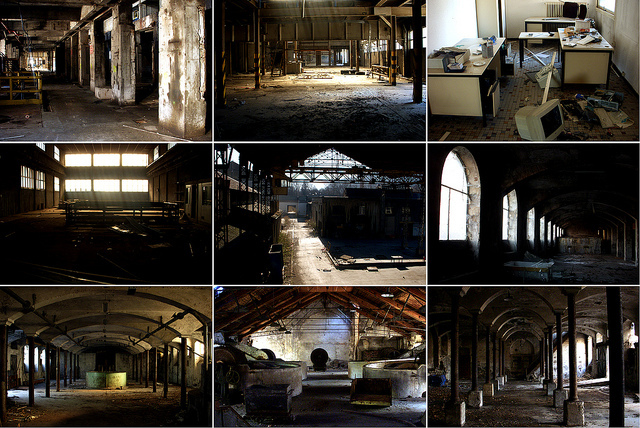 Abandoned factories are favorite places for urban explorer – especially the detritus left behind. 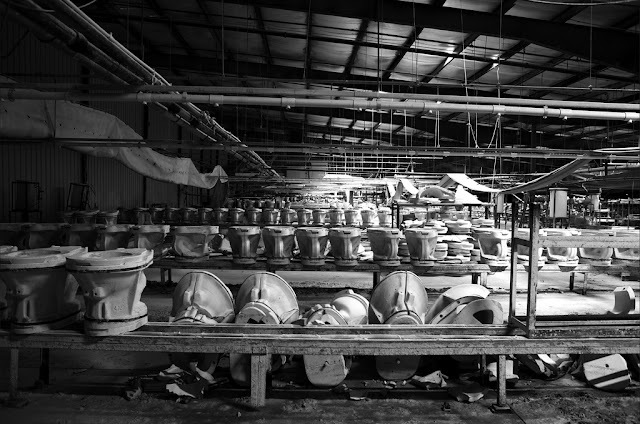 Below, there are several shots from an abandoned ceramics factory at Abingdon in the English country of Berkshire. 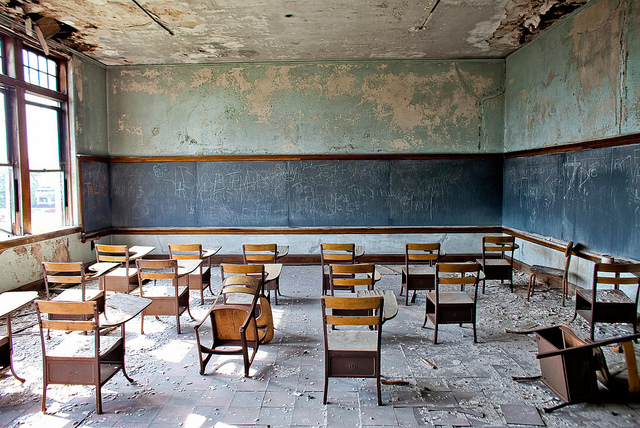 Where once people busied themselves with the day’s work there is now silence. 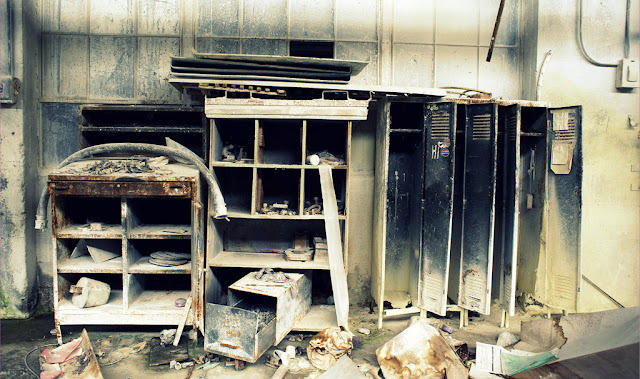 One can only wonder who used these lockers. Which despondent worker tried in vain to brighten up his locker with a Pepsi cola sticker? We shall never know the answer but the remnant of working lives do lead one to ponder on mortality. It is almost as if something apocalyptical has happened and that the human population of the world has been decimated leaving all the buildings to slowly decay at their own rate. 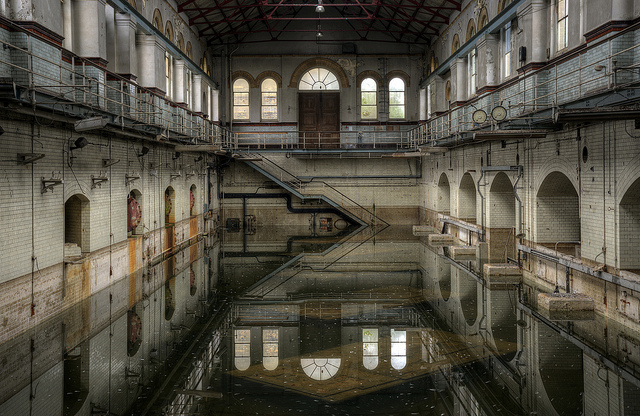 Although this sort of environment poses its own risks to the health and safety of the photographers it has been sanitary sewers that have caused the most accidents to urban explorers. 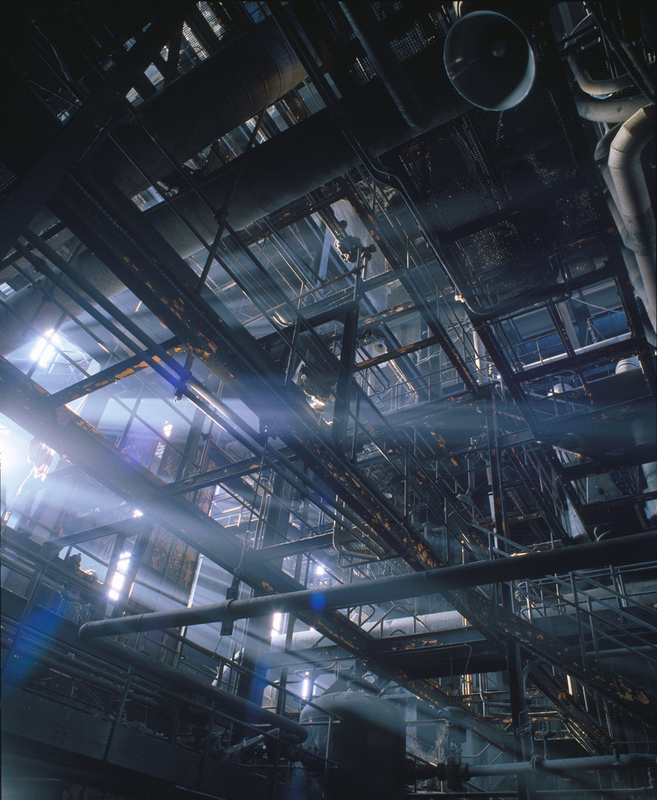 Toxic gases such as methane and hydrogen sulfide can build up and poison those unwary or unwitting enough to visit the sewers without respirators. There have been many fatalities over the years. A linseed factory outside of Toronto, Canada, which was abandoned in the 1970s offers the opportunity for a marvelous shot. 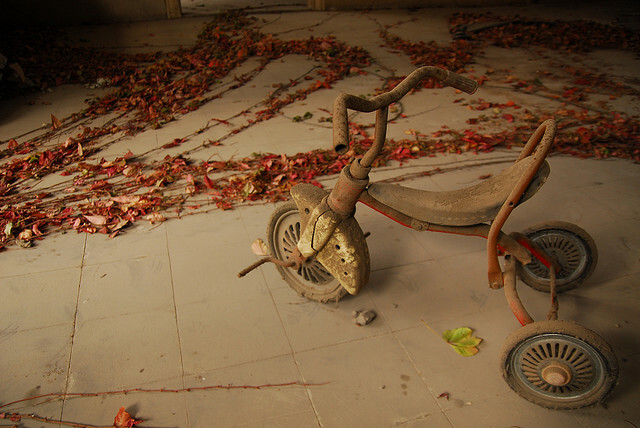 The warmth of the colors are in stark contrast to the decay of the environment. 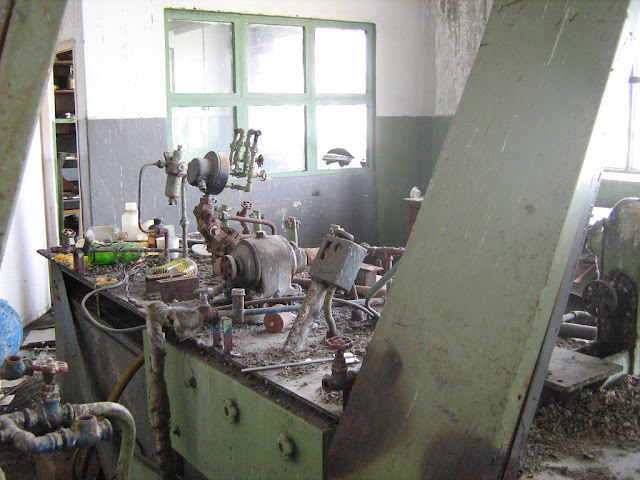 An abandoned workshop in Bratislava. 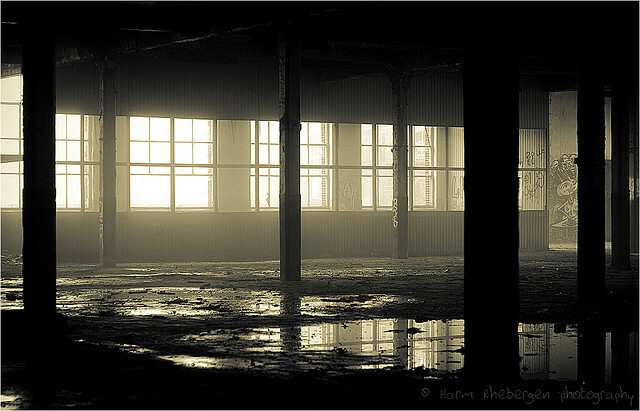 Much urban exploration takes place in the early hours of the day and so the journey starts when it is still dark. The sites that you will visit will not have electricity so one of the things that you should always remember to take with you on your journeys is a flashlight. And don’t forget the spare batteries either. 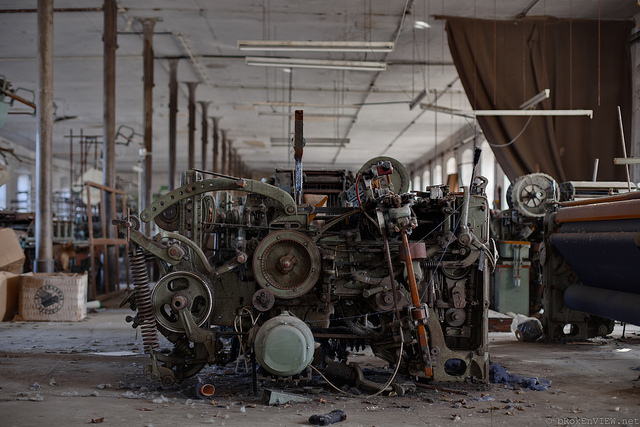 An abandoned factory in France. 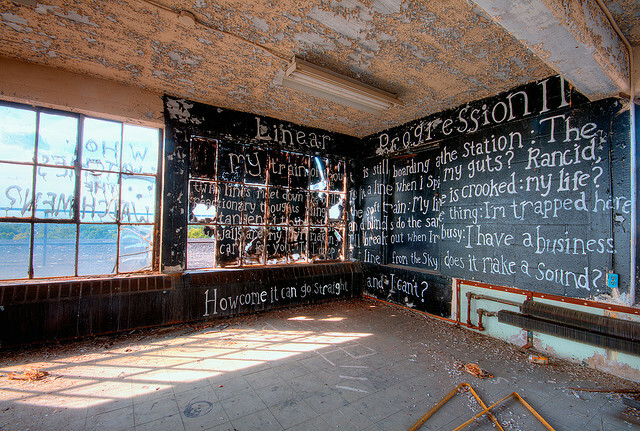 You can see here just how dangerous going in to these abandoned buildings can be. The gaping hole in the floor is just one of many potential accidents waiting to happen that can befall the unwary visitor. Fortunately the age of digital photography means that whatever you discover (and it has to be said you are unlikely to be the first) then at least you should be able to get enough shots to satisfy yourself – and you will not run out of film. 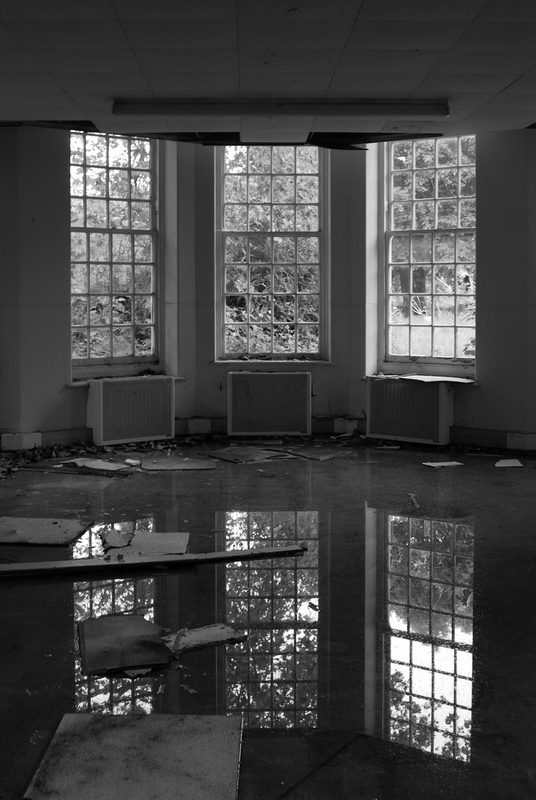 We will leave this short exploration with a shot from an abandoned hospital in Colchester, England. Urban exploration, it has to be said is not for the faint hearted and for those of you happy to do it from your armchair, as it were, we hope you have enjoyed this short tour of some of the great sites of Urbex. First picture - Flickr User h.e.d.